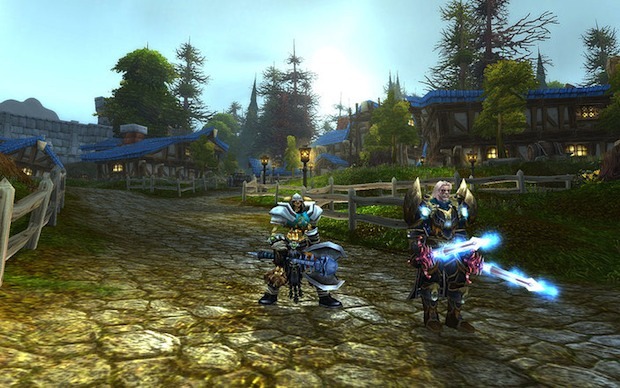 Over 11 million people play World of Warcraft on a regular basis, so you’ll be in good company if you get addicted to the never-ending MMORPG. 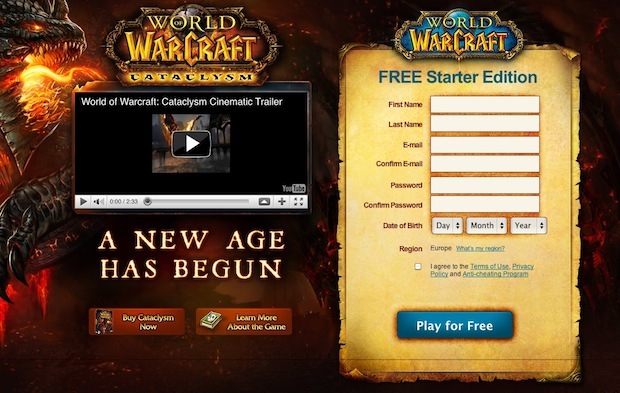 Blizzard has always offered free trials, but previously you would only get 14 days to test the game before being told you had to buy it. Now you can play endlessly if you don’t mind your character maxing out at level 20, and at any point you can purchase a paid subscription to carry the character and your addiction further. World of Warcraft runs on both Windows and Mac OS X and has fairly low system requirements, just about any Mac from the last 5 years should play it fine. Kiss your social life goodbye! If you do get sucked in, you can get a slight discount by buying pre-paid cards from Amazon . If MMORPG’s aren’t your thing but you want another great free multiplayer game, don’t miss downloading Team Fortress 2, it’s a really fun fast paced first-person shooter that was recently made free as well. hahaha, can’t believe I wasted my life on this garbage for so many years. I feel sorry for anyone else who gets addicted to this, please stay away and don’t ruin your life and friendships with it I beg you. Thanks alot Blizzard for enabling my nephew to become an addict. He won’t stop playing. « Mac OS X Lion Release Date Imminent?